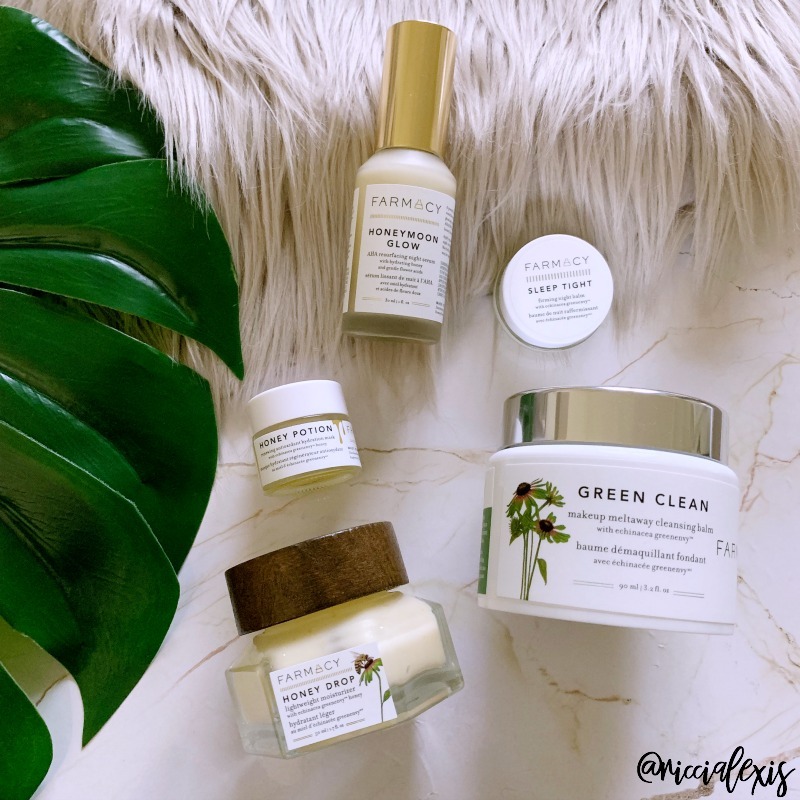 Farmacy Beauty Products I LOVE! 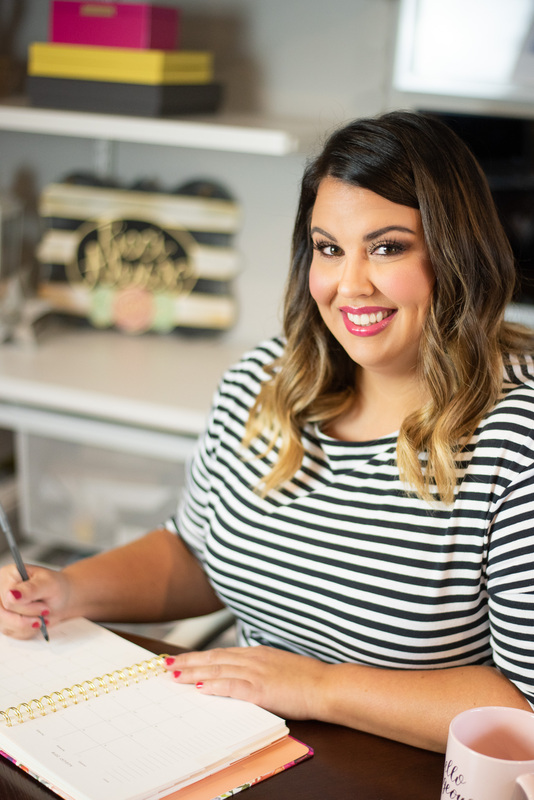 When I was first researching clean and natural beauty products one brand kept popping up in my Google searches and after finally clicking it I found out why. The website is pretty and easy to navigate. The branding is simple and fresh. And the products are non-toxic and safe! What brand is that you ask? Farmacy Beauty! Farmacy Beauty has an impressive array of skincare products that are all farm-to-face and are paraben free, formaldehyde donor free, synthetic fragrance free, phthalate free, mineral oil free and cruelty free. And they actually work! I always said I would never use natural beauty products because I assumed they wouldn’t work. Well that came back to bite me because not only am I using natural products but my skin is thriving because I’m using them. So you know how the old saying goes…never say never! When I decided to try Farmacy Beauty products I started with the Cream of the Crop discovery set. It contained three of their best sellers…Green Clean Makeup Meltaway Cleansing Balm, Honey Drop Lightweight Moisturizer and Honey Potion Antioxidant Hydration Mask. I shopped directly from the Farmacy Beauty website and used their 15% coupon for signing up for their emails, they also offer free shipping on all orders! 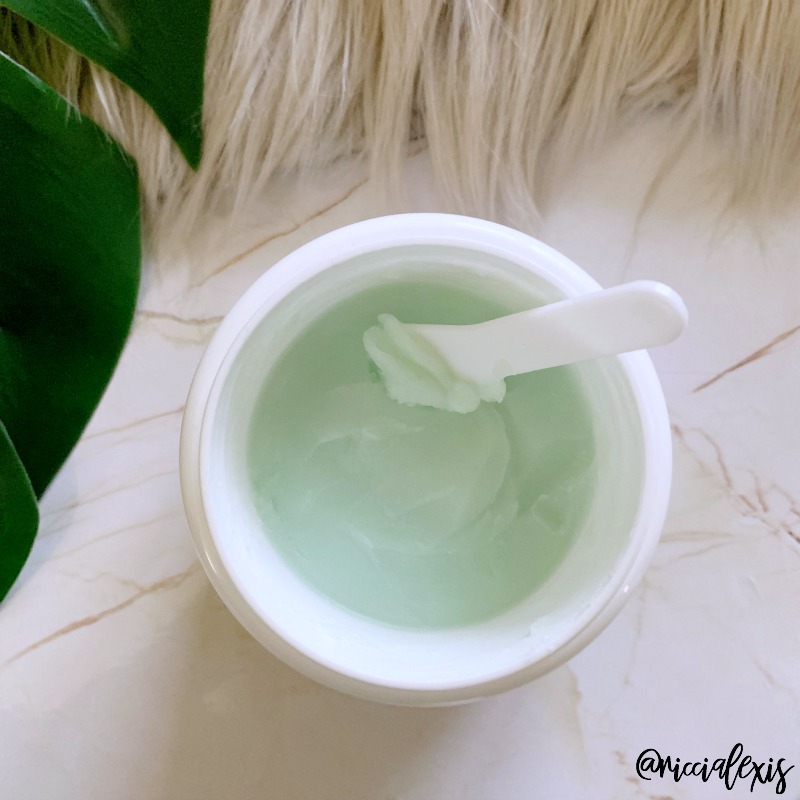 Green Clean Makeup Meltaway Cleansing Balm is just that. It’s a cleansing balm that turns into an oil on your face and literally melts the makeup off your face, even the most stubborn mascara! It contains sunflower and ginger root oils to melt the makeup away without stripping your skin of it’s natural oils. It also contains lime, bergamot and orange essential oils! It really is good stuff and I am on my second jar. LOVE LOVE LOVE IT!! 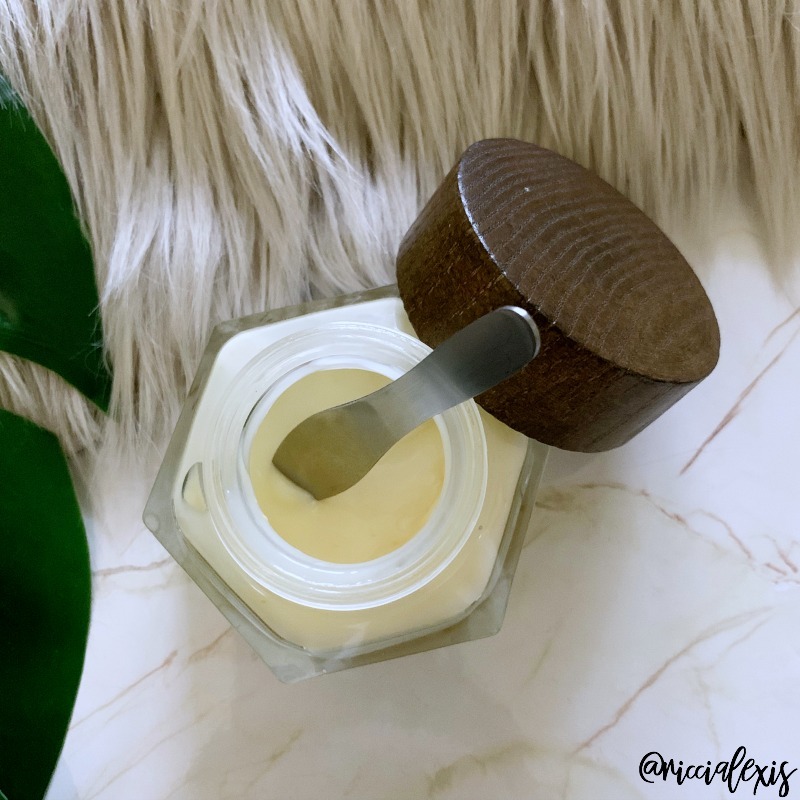 Honey Drop Lightweight Moisturizer is a super lightweight gel-cream formula that absorbs quickly and doesn’t even feel like you have anything on…and y’all know I don’t like to feel anything on my skin! YUCK! 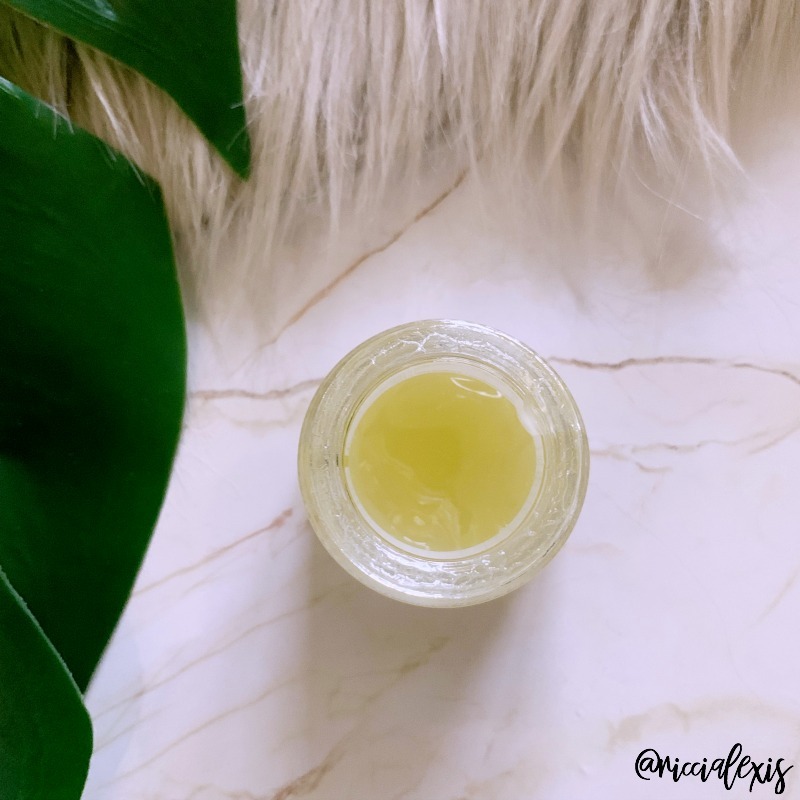 This moisturizer contains honey that is locally sourced from a farm in upstate New York where happy, healthy VIBs pollinate Echinacea GreenEnvy™ flowers, infusing the honey with potent natural antioxidants. It also contains Hyaluronic acid complex (which is a favorite of mine!) that make sure your skin is super plumped! I started with the jar in the Cream of the Crop set and have since purchased a full size jar and moved my first to my travel case. LOVE LOVE LOVE IT!! Honey Potion Antioxidant Hydration Mask is an intensely hydrating mask that warms when activated on your skin. This mask is also full of the same locally sourced honey that is in the moisturizer. It also contains B vitamins, propolis and amino acid-rich royal jelly to nourish even the driest of skin. I only used it twice but it was pretty good! 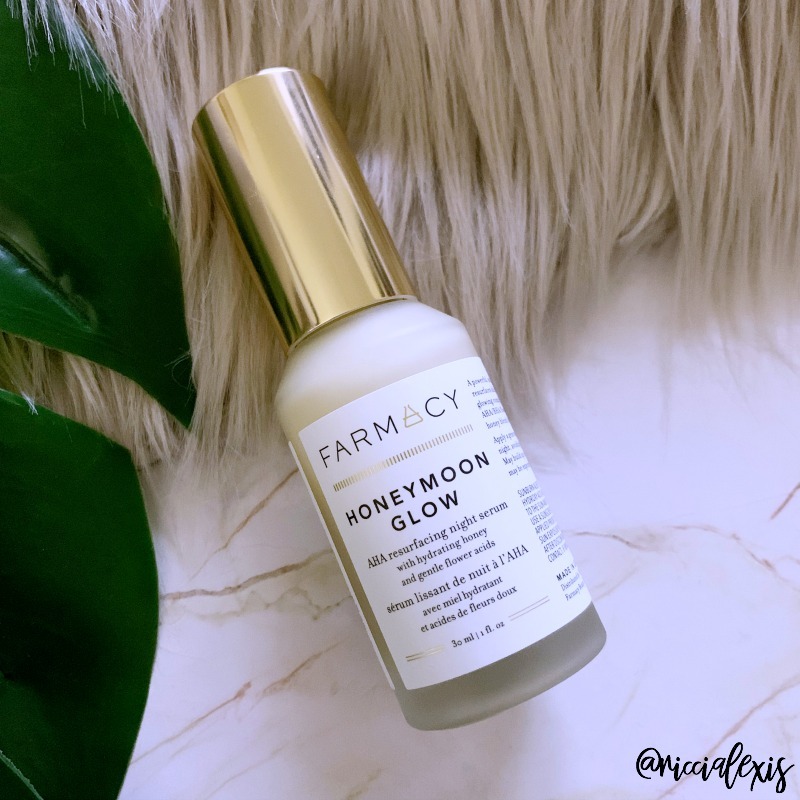 Since my initial Cream of the Crop purchase I have tried a few more Farmacy Beauty products…Honeymoon Glow AHA Resurfacing Night Serum and Sleep Tight Firming Night Balm. Honeymoon Glow AHA Resurfacing Night Serum is a 3-in-1 night serum that resurfaces, hydrates and clarifies dull skin while you sleep, formulated with a 14% AHA/BHA/gentle flower acids blend. It contains Hyaluronic acid, Salicylic acid, and flower acids all of which help resurface dull skin, refine pores, and exfoliate the skin. This night serum gives me the softest skin ever and makes my skin feel smooth and tight!! LOVE LOVE LOVE IT!! 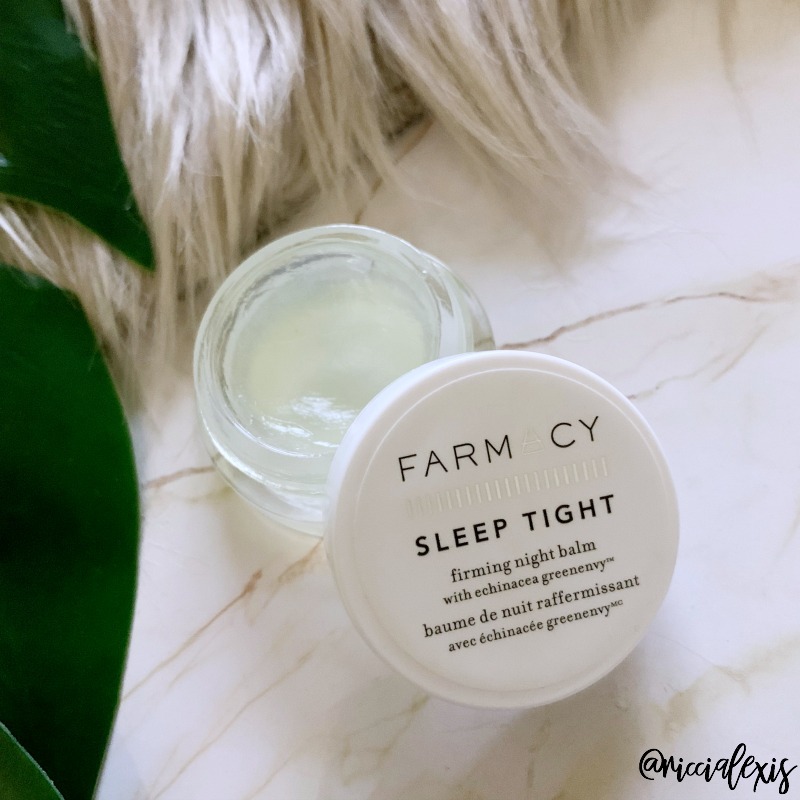 Sleep Tight Firming Night Balm is an oil-gel that is quickly absorbed into the skin and helps fight the signs of aging with the help of powerful, plant-based alternatives to retinoids. It also helps to protect the skin by reinforcing the skin’s natural barriers. I only have the travel size of this moisturizer so I use it sparingly but I think it will be my next purchase along with the Dew It All Total Eye Cream (I have heard amazing things about that one!!). LOVE LOVE LOVE IT!! So there you have it, all of the Farmacy Beauty products I am LOVING! I have read some seriously amazing things about this brand and the products I have tried are all FAVES. I can’t wait to try more!! You can shop Farmacy Beauty products on their website or you can find them at Sephora! Have you tried any Farmacy Beauty products?? I haven’t heard of Farmacy products but they have me interested. Like the package but if the products truly work than that is all that matters. I haven’t heard of these before, but i’m curious. I’m always eager to try new skin creams. I’m curious about that night balm. I’ve never heard of Farmacy, but I am now intrigued. I also am hesitant to use any natural products, but glad this worked out for you! oh my goodness YES- i need all of these great products esp if i can grab them at my local pharmcy! im always on the hunt for new things esp if you recommend them :) love these products! This is my first time learning about this brand. I love trying new products. I can’t wait to try some of these out. Thanks for sharing!! Since it is now such a cold cold winter, I definitely want to try the Hydration Mask! I have to admit I’ve not heard of this brand before but I love the sound of them. The Honeymoon Glow sounds amazing, definitely something I would love to try. I always appreciate beauty products that are made without yucky toxins. I especially have my eye on that hydration mask since my skin has been super dry this winter. That Honey Drop lightweight moisturizer looks like something I would use! I haven’t heard of Farmacy Beauty before. I haven’t heard of this brand before but I’m definitely intrigued. I’m going to look into it and see if their products are a good fit for me. I love that they are cruelty-free! I have really dry skin, I’ll have to see if they have something that is a good match for me. I adore the cute name! Cruelty free is a must. My skin is so dry that I need to find a good product. for me. I would love to try the firming night balm. It’s nice that there’s a lot of cruelty product nowadays. Yes! I love when products I use anyway are cruelty free!! I love natural beauty products and I am always glad to find more about plant-based alternatives. Farmacy Beauty is the next brand I will try! Let me know what you think!! I LOVE them! I have been wanting to try Farmacy products fooorever! I feel like they would be really beneficial to my sensitive skin. 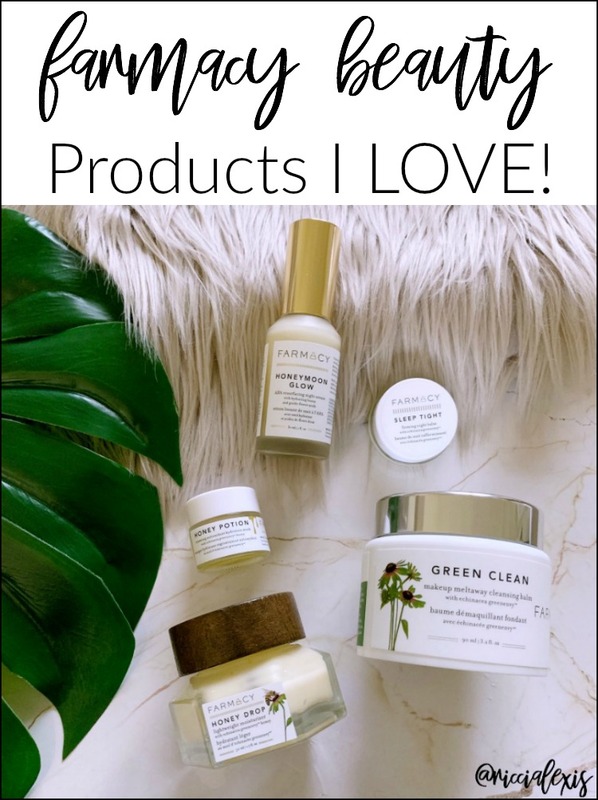 I LOVE Farmacy products, they are seriously amazing! You should try one of the discover sets, that way you can try a few different products! I would live to give the Honey Potion Antioxidant Hydration Mask a try. I need that because this bitterly cold weather is wrecking havoc on my skin. AMEN!! This weather has been brutal!! That makeup meltaway cleanser sound ideal for me. I sometimes forget to remove mine at night and my face feels 10 years older the next day. I love the cleansing balm! It always leaves my face so clean and soft!! Those look like some amazing products. I’m always on the hunt for new beauty products to try out. Looks like I need to put these ones on my list.